The citizens of Houndspoint have always loved and trusted their canine companions, but a recent wave of coordinated attacks by a pack of strange dogs has thrown the snowy mountain town into a state of fear. After your beloved dog, Pippa, is kidnapped by the creatures, you vow to discover the cause of the sudden attacks and figure out who, or what, is behind it all. 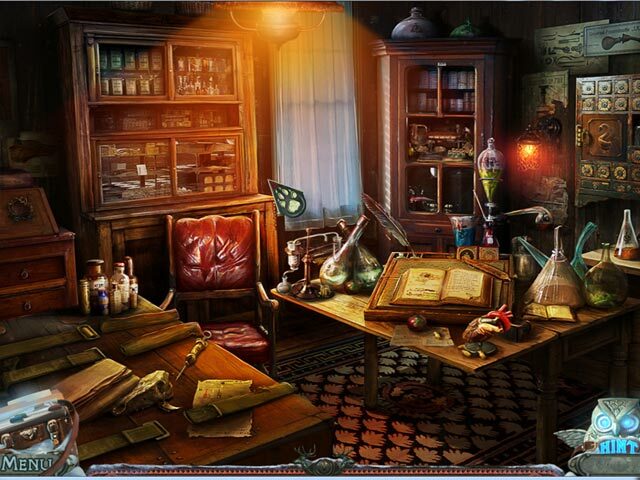 Explore beautiful hidden object scenes and mysterious locations to uncover the truth in Fierce Tales: The Dog’s Heart! 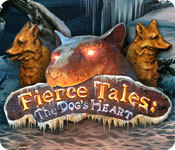 Fierce Tales: The Dog's Heart is rated 4.1 out of 5 by 76. Rated 5 out of 5 by cejene from Relaxing and Fun Game Great story, great end. Lots of HOS. Forgot to check the map I was travelling so well in the story. Many areas to visit. Rated 5 out of 5 by MistyUK from Lots of puzzles I like the graphics, very nice artwork on many scenes, Lots of puzzles to solve compared to other games. The story line was average but this is outweighed by the lovely scenery and large map. Particularly liked the bull dog! 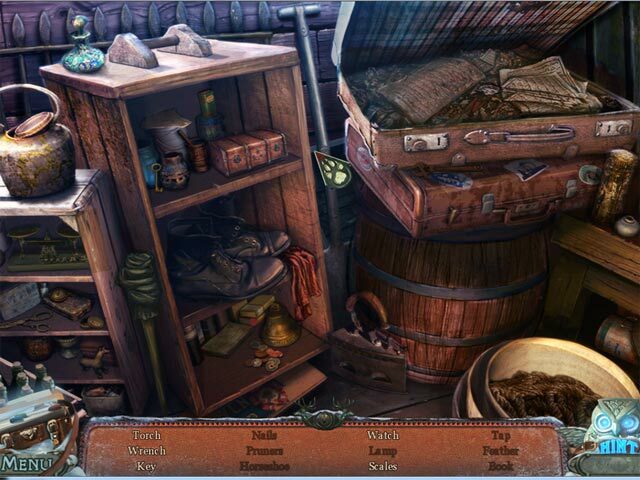 I prefer this to the Ravenhurst mysteries, which up to now were my favourite hidden object games. Rated 5 out of 5 by 25woody53 from Incredible Game! I had to do a review for this game. I haven't finished it yet; however, I just had to let you guys know that it is addictive. 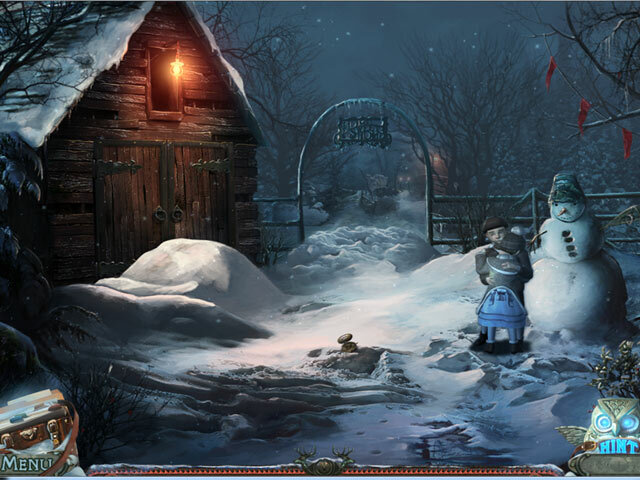 Beautiful graphics, music and captivating storyline. I highly recommend this game! Rated 5 out of 5 by gungho from RUFF RUFF When I decided to try this game I didn't think it would be any good but much to my surprise it turned out to be an excellent game. I really had a great time playing the trial. It's on my purchase list. what graphics and good story line. I'm a sap for good stories that have animals in them. This game is worth getting. Rated 5 out of 5 by Angelique1971 from great fun I was doubtful when I first saw this game but I'm glad the reviews convinced me to give it a chance. First of all, the graphics are wonderful and the story is original, focusing on our canine friends. Those are good reasons to try it. The HOS are clear, fairly easy and not your typical junk pile. There are more HOS than the, average but fun, puzzles yet they are not over done. Gameplay is mostly smooth and logical. A travel map is provided but it does not show active tasks. However, it does give you a good view of each scene so you can recognize if you need to go there. The hint button is also helpful with navigation. This game was really great fun from beginning to end. Rated 5 out of 5 by mlw14 from Happy ending! Interesting game Interesting storyline. Various scenery. Relaxing and fun to play. Music went along with gameplay. I would get caught up in one area and forget there were many other plays to explore. I also got caught up in the storyline. The puzzles were not overly challenging. Again, I really nice break from some of the other games. I enjoyed the game play and I hope for a sequel. Rated 5 out of 5 by neilskinut from really good game This was a fun game. The HOS are good and most of the puzzles are not that hard. Some going all over the place but still had a good flow. Rated 5 out of 5 by chi_love from Loved It! Engaging Story and Unique! I just finished the game and thoroughly enjoyed it! The dog needing help just drew me in and the story line was very well developed from beginning to end. The graphics were absolutely beautiful and I really took my time appreciating the scenes, almost all of which had some animation, adding to the atmosphere. The cut scenes were very well done, as was the voice acting. There were a surprising number of different areas, some of which were very unusual. The puzzles were quite unique and numerous and I found many rather challenging. The HO scenes were beautifully rendered and had some interactive elements. There were some items that were difficult to find in shadows so I just used the hint. A couple times, I had to click around in the vicinity before the object was registered - a complaint others had but I didn't find overly bothersome. I consulted a walkthrough on one puzzle, being brain-dead and building the item backwards. Which reminds me that there were quite a few things to build from several objects which really added to the dimension of the game and expanded into the Adventure realm (especially seeing as I'm not that fond of HO scenes). After playing leisurely for about 10 hours, the last hour became more difficult because there were fewer inventory items but a lot of areas to figure out where to use them. That's where the hints became invaluable and useful to just "clear" which areas could be dismissed. The map made it easy to hop to different areas and I didn't feel any need for a strategy guide. All in all, I found this to be a first-rate game with a great story, great game play and atmosphere and I highly recommend it. I can't wait for a sequel! Rated 5 out of 5 by pamela75 from finally this was a really long game !! sure got my$$ worth this time. Rescue your canine companion, and solve the mystery of Houndspoint!